The Reno Lite has been spotted on CCC's platform with model numbers PCAT10 and PCAM10. The Chinese smartphone manufacturer had recently unveiled its flagship Reno smartphone lineup. 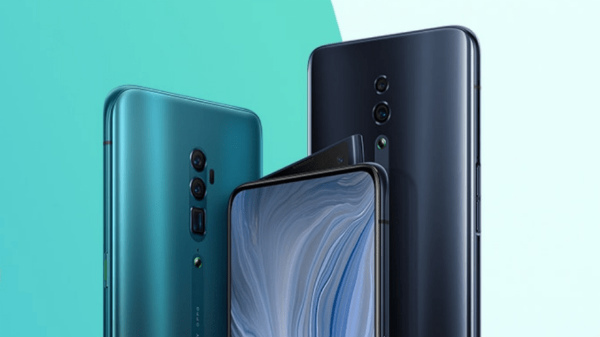 The company has introduced the Reno smartphone lineup with the Oppo Reno standard and Oppo Reno 10X zoom camera variants. Now, another Oppo Reno variant has made it to the web indicating a new upcoming smartphone by the company. The Oppo Reno Lite is the latest Reno variant spotted online. The smartphone has cleared its certification from CCC (China Compulsory Certificate). This is a certification body in China. The Reno Lite has been spotted on CCC's platform with model numbers PCAT10 and PCAM10. Let's have a look at the rumored specifications of the upcoming Oppo Reno Lite smartphone. The Oppo Reno Lite is CCC certification website listing suggests that there will be a MediaTek Helio P70 chipset powering both the PCAM10 and PCAT10 variant. This is the same processor which the recently launched affordable Realme 3 packs. The processor will have four Cortex-A53 CPU cores clocked at 2.0GHZ and four ARM Cortex-A73 CPU clocked at 2.1GHZ. The MediaTek Helio P70 processor features a multi-core NPU (neural processing unit) along with an integrated 4G LTE modem. The Oppo Reno Lite with model number PCAM 10 will be available in single 4GB RAM and 128GB onboard storage configurations. Whereas, the PCAT 10 will come in dual RAM configuration including 4GB and 6GB RAM. This variant will offer a storage space of 128GB. All the variants of Oppo Reno Lite will get an option to expand the internal storage. In terms of camera, both the Oppo Reno Lite variants are tipped to sport a dual-lens primary camera setup. The primary camera setup might come with a 16MP primary lens a 2MP secondary depth sensor. The selfie camera will come with a 16MP lens. It is unknown whether it will be a regular pop-up or shark-fin pop-up design. A 3,910mAh battery unit with 10W fast charging support is tipped to power the smartphone.